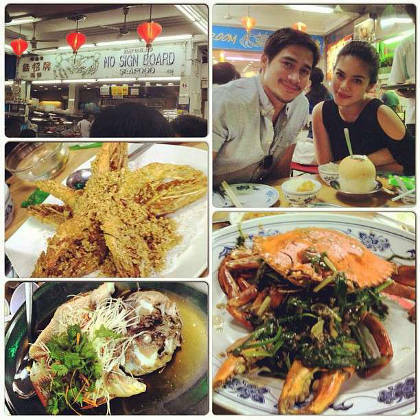 Piolo Pascual and Shaina Magdayao allegedly spotted "dating in Singapore"
ABS-CBNNews.com, citing The Buzz, reports Shaina Magdayao and Piolo Pascual "were said to be enjoying each other's company during the recent trip to Singapore of the ABS-CBN Sunday musical show, ASAP 2012." ABS-CBNNews.com, citing The Buzz, reports Shaina Magdayao and Piolo Pascual "were said to be enjoying each other's company during the recent trip to Singapore of the ABS-CBN Sunday musical show, ASAP 2012." Magdayao posted photos of herself and Pascual via her Instagram account. She referred to Pascual as her "handsome date." Nevertheless, she denied that anything was going on between them and said Pascual was just being a gentleman by accompanying her in their outings in Singapore.